You don't need the amp I use to get the dreamy delay sound, but you do need a delay that has two very specific features. The first is the ability to set a long delay, and the second is the ability to modulate the echo. 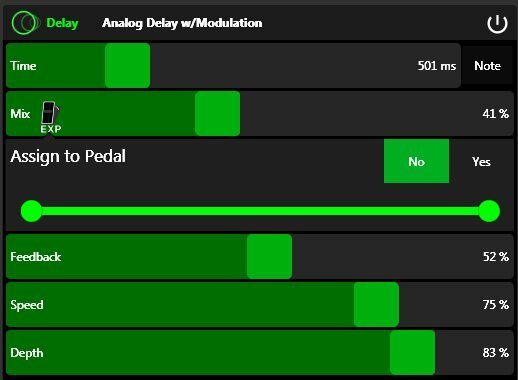 Most cheaper delay pedals have a maximum delay time of 330ms, and that's not enough. You need something that can delay for at least 500ms (half of one second). Also, most cheaper delay pedals have no modulation ability at all. What that means is to have the delay effect changed or "colored" by a secondary built-in effect (usually a mild chorus, phaser or flanger). Is the DD-7 the only choice if using a delay pedal? For delay-only pedals, there's the DD-7 and one other. Before I get into that, some important info. I did some research and looked at a bunch of different delay pedals. Very few of them had the modulation effect, and for the ones that did, the delay time was too short. There are many delay pedals available, but they all seem to be "almost there" and don't hit the mark. The DD-7, a pedal I've talked about many times here, is the best floor pedal, period. It's not cheap, never has been cheap and never will be. But wow, is it done right. You definitely get your money's worth. The only other delay-only pedal I know of that absolutely gets that dreamy delay effect right is, once again, made by BOSS, and it's the TE-2 Tera Echo. However... I'd still take the DD-7 first because it's so much more usable. Yes. You get a multi-effect floor pedal such as the DigiTech RP360. Or, you could go super cheap with the ZOOM G1on. Do all modern modeling guitar amps have the ability to "go dreamy"? Most of them do. The general rule of thumb is that if the amp has a digital display on it, it most likely has the ability to set a delay effect with long delay and modulation. 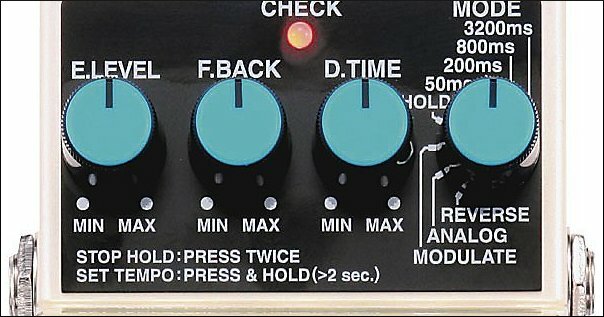 The digital display is needed to actually get to the appropriate settings, so if the display is there, it's very likely the amp can do the dreamy delay sound.